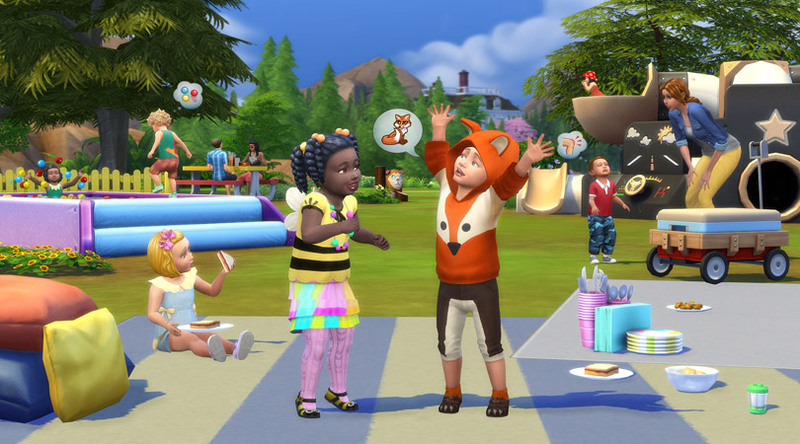 The Sims 4 Toddler Stuff Pack provides a variety of adorable new objects, features and outfits for you to enjoy. 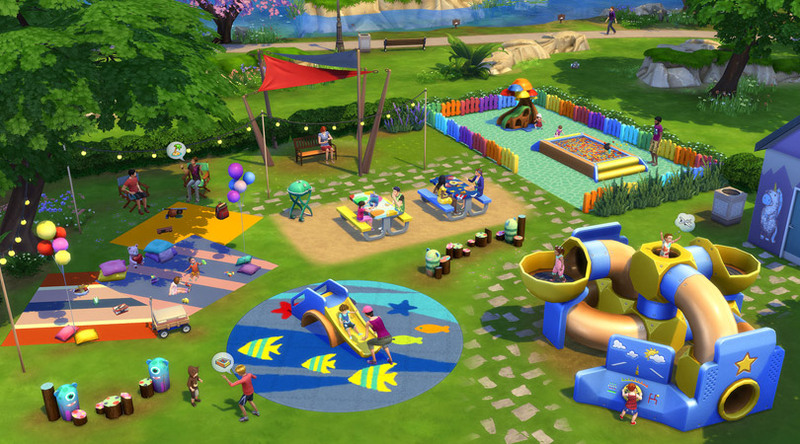 This Stuff pack includes 4 new gameplay objects for your Toddlers to play with; a Slide, a Ball Pit, Tunnels and a Jungle Gym! Get new adorable clothing for your toddlers like a cape, bee shirt with small bee wings, sweaters with animal ears and even voidcritter themed clothing. You can call other parents to arrange a play-date for your toddlers. Go out for a picnic or set up a ball pit for them to play in. Play dates, picnic and cuteness! 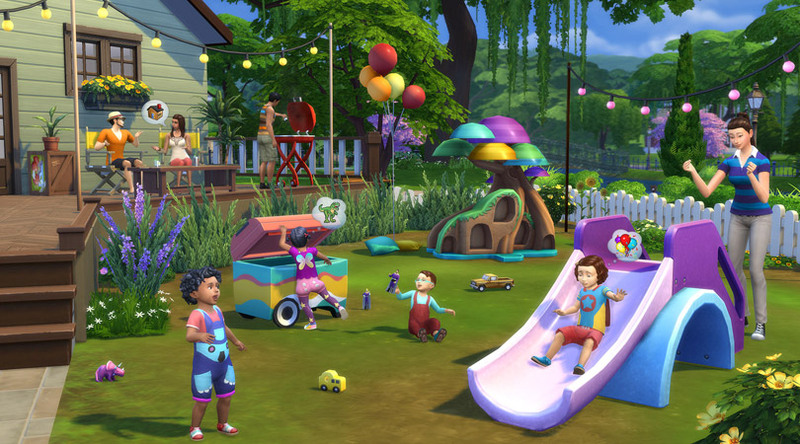 You can invite your neighbors’ toddlers over for a play date! You can host a play date at home or take them for a picnic in the park. 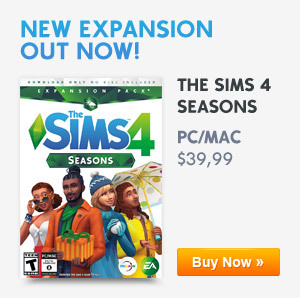 Let loose, make new friends, and let your Sim parents increase the fun through story telling, and cooking up the tyke’s favorite foods. From hopping into the ball pit, to scooting down their new slide, or scuttling through colorful tunnels, there is lots of fun to be had. In fact, they can even play make-believe while watching their new play structure turn into a pirate shipwreck resting on the ocean floor, or exploring the galaxy as an astronaut – the choice is theirs. That’s nice and all but when will it be purchasable online as Origin Store hasn’t worked forever either in app or on their website? It’s nice and all that you advertise it However it is not in any stores or their websites, Amazon, or Ebay so I don’t think I’ll be able to spend money on this wonderful product.